At exactly 10:55 AM on the morning of the Seattle Pride Parade, we ask for everyone to observe a moment of silence in remembrance of all those that have been affected by gun violence. 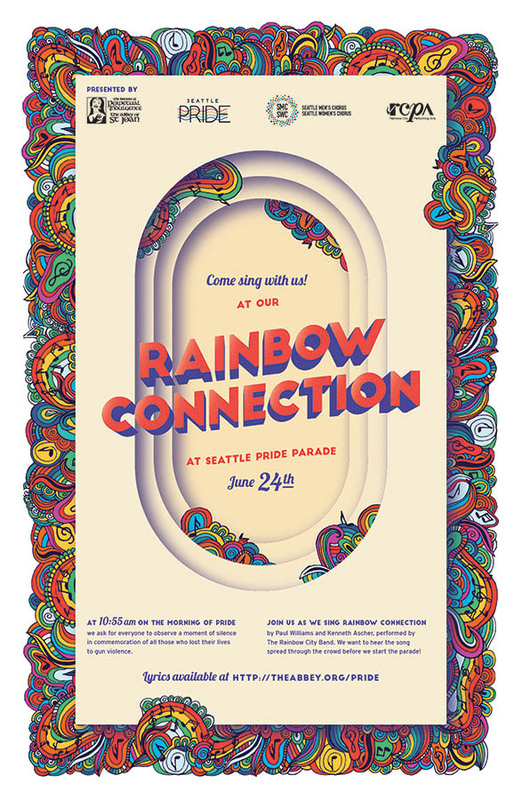 Join us as we sing Rainbow Connection, by Paul Williams and Kenneth Ascher, performed by the Rainbow City Marching Band. We want to hear the song spread through the crowd before we start the parade!